Owner/Operator Rusty, was born and raised in the Fort Walton Beach area, he graduated from Choctaw High School and went straight into the U.S Army. After serving with distinction he was Honorably discharged. For the last 21 years he has worked on all makes and models of garage doors and garage door openers as both a service tech and installer working his way up to service manager and now owner. 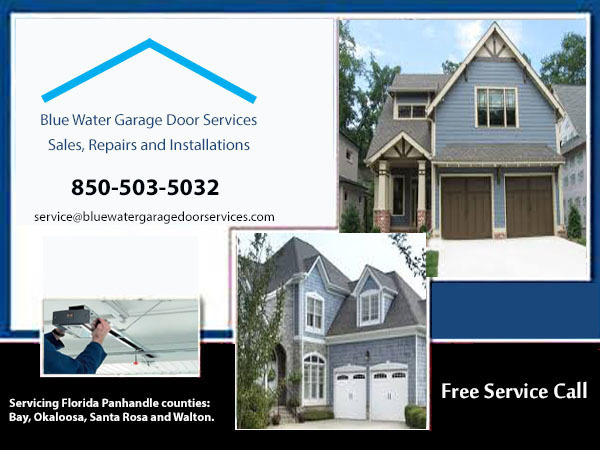 Blue Water Garage Door Services is a company that has a strong commitment to customer service that is second to none. We take pride in our southern hospitality and treating our customers with the same respect we have for our grandparents, parents and family. Why Should You Choose Blue Water Garage Door? We offer a truly free service call. We will come out to your home and take a look and see what the issue is, we will give you an exact price written quote on what it will be for the repair or garage door or garage door opener replacement. We want our customers to have the peace of mind that they are dealing with a garage door company that is a professional and civic minded we want your business not just today but also in the future. We can repair all makes and model of garage doors and garage openers with a level of quality that other companies wish they could offer. We want our community to know that there is a local garage door company that cares for them and not just a fly by night operation like so many garage door companies are today. Our motto is yesterday’s quality today. So call (850) 503-5032 or go to our Contact page and send us an email. We will answer your call directly or respond to your message in a timely fashion with a friendly can do attitude. This company was fantastic to deal with. They were prompt, extremely professional and had expert knowledge of door opener installation. The installer did things like leave extra wire wrapped up in case of a break and aligned all of the wires perfectly My door had a track issue which he identified and corrected which honestly was not his problem but repaired it with a smile. I couldn’t be more impressed with this company’s service. If you have any choice of installers absolutely use this company.